Today I've got my second ever textured polish to show you. I was less than impressed by my first texture experience so I was a little surprised by how much I liked this one. I bought it completely by accident too. 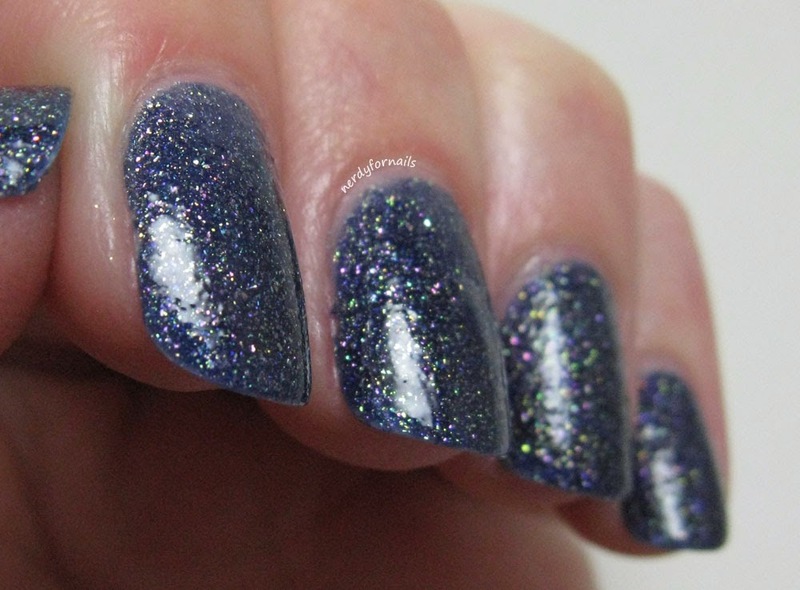 Sparkle In The Sky is from the Finger Paints 2013 Enchanted Winter Collection. Every polish from that collection was textured which I didn't realize until later. I grabbed this one thinking it was just a pretty sparkly polish, but I was pleasantly surprised to find that there was more to it. Of course I had to find out what it looks like with top coat. This is with two coats of Sally Hansen's Dries Instantly. It probably could have used one more coat to be completely smooth, but you get the general idea. Next time I'll definitely be embracing the texture and wearing it without top coat. This polish has officially changed my mind about textures. 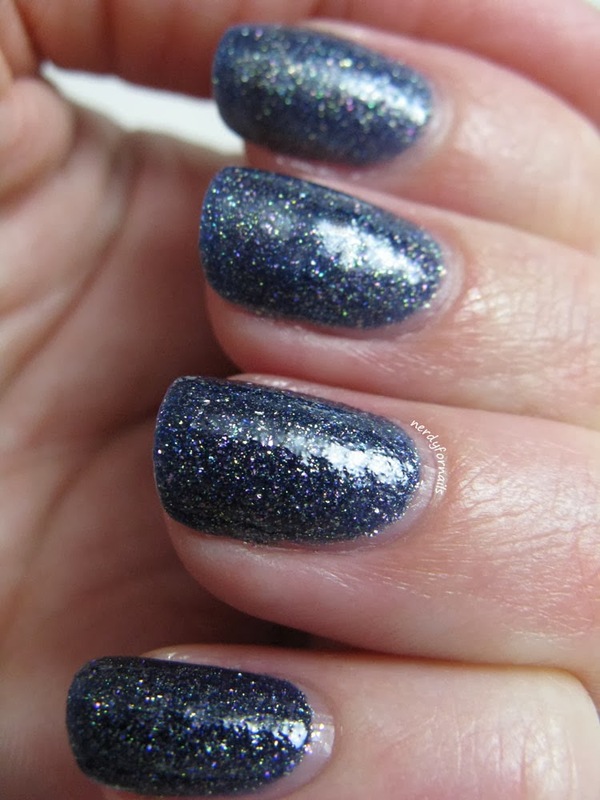 And maybe the swatches of the new Zoya Magical Pixie Dust polishes helped a little too. I'm dying to try them. What do you think about textured polishes? Have you jumped on the band wagon or will you let this trend pass you by? Although it doesn't look like it's going away anytime soon. Gorgeous! Reminds me of OPI Alcatraz...Rocks! I love textured polishes and I'm always eager to try them from different brands. So far, I've accumulated Liquid Sands, Pixie Dusts, and versions from NOPI, Forever 21, Essie, Julie G, and L'Oreal. I saw a comparison post someone did with this and Alcatraz...Rocks. They do look very similar indeed. I can't wait to try out different brands of textures now.